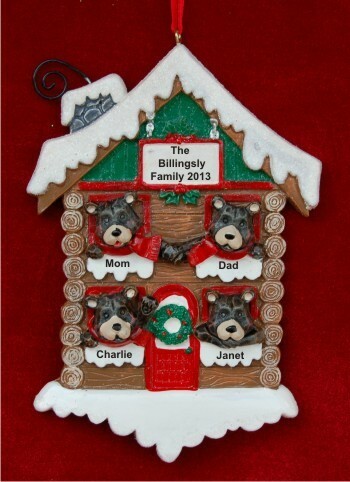 The gang's all here in the black bears: happy family of 4 personalized Christmas ornament from Russell Rhodes. This adorable ornament is a wonderful choice for your own gang, and it makes a fantastic gift for families of four on your holiday list. 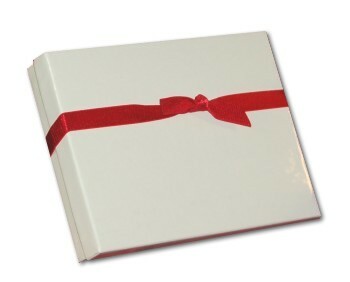 We'll add the details you provide to turn this attractive decoration into a family treasure you'll enjoy every Christmas. The black bears happy family of 4 Christmas ornament is one of our family & friends ornaments personalized by our calligraphers and tucked in our classic velvet bag for delivery.